No space game would be complete without a plethora of alien life to encounter, the majority of which will be hostile. 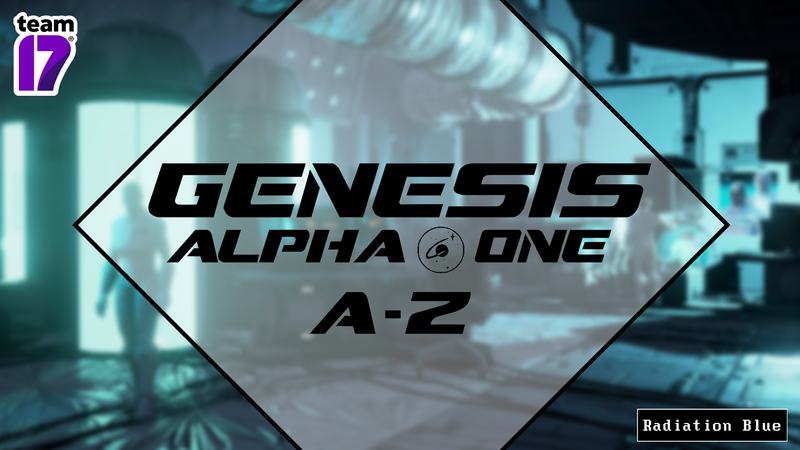 While you will have to take them out, they will drop a range of useful items from ammo to Biomass and DNA – which you can splice with human DNA to create a new type of clone! Ranging from insectoid to humanoid, with a few other surprises, you won’t be short of variety. The Genesis is free to construct as you wish, if you have the resources of course. You can build across seven floors, constantly evolve your ship with new modules and upgrades and even view in free roam your construction in-progress! Creating clones means not only do you have more hands on deck to run and protect the Genesis, they are your lives! As this is a roguelike, death is not the end as one of your clones will be promoted to captain if you meet your demise. Run out of clones and it’s game over… Man. The decontamination chamber is an important defensive module against infestation or invasion. Low level enemies will be neutralized by the chamber with others receiving significant damage. Exploration is key in fulfilling your mission to find a suitable Genesis candidate. The galaxy is procedurally generated each time, meaning no two playthroughs are the same. Gunplay is integral to staying alive as you explore the universe for valuable resources, so take advantage of all the weapons at your disposal and keep on the lookout for upgrades to counter threats. The Greenhouse is key to sustaining life aboard your ship, providing a suitable atmosphere for you and your crew. As you research more clones, finding new plants to create a breathable environment for your new shipmates will allow them to thrive. Facilitating your travel around the galaxy is the Hyperjump. This will allow you to move between clusters of planets with ease and is upgradeable to allow you to travel greater distances. Intelligent Data Access, or I.D.A for short, is a fountain of knowledge aboard the Genesis relaying important information and guiding you on your journey. Planets have differing threat levels that will be displayed once you’ve used the Bridge to scan them. There is a certain risk and reward element to exploring critical level planets – there is a greater chance you will find more valuable resources, but you will be against higher level foes who will do anything to stop you. If you’re feeling overrun, there is no shame in just getting the hell out of there and retreating to the relative safety of the Genesis. The Kugelblitz energy weapon might have a slow rate of fire but when used on a cluster of enemies, it can completely devastate them. Think of its projectiles as floating mines with a well-placed shot giving you a tactical advantage. This is included as part of the Rocket Star Corporation pack, free for those who pre-purchase. Lithium will be a valuable resource for crafting certain types of ammo. Downed hostiles will occasionally drop ammo boxes, but mining Lithium will allow you to create this at will in your Workshop. Mining is one of the ways to collect resources that will allow you to expand your ship, upgrade modules and craft ammo. You can take two crew members to assist you on planetary landings. However, your Harvester ship only has a limited amount of space for your plunder. Just keep your wits about you as you mine – the inhabitants of these planets won’t be too happy about you taking their resources. If you’ve initiated a Genesis and saved humanity, you can continue your exploration in the same galaxy with all of the upgrades, modules and weapons from your previous run, minus certain crew. If your ship becomes damaged and a module is lost, a temporary airlock will protect the rest of the Genesis. You can space walk over the damaged sector but remember the oxygen supply in your suit is finite. Our friends at Sold Out have created boxed editions for PS4 and Xbox One for those who like things in-hand. Check with your local retailer for availability and pricing. As you expand the ship you will also want to grow the crew to assist you, but you will need to ensure each shipmate has living quarters so they can rest. Bear this in mind as no one likes a grumpy clone. The Security Gate is another defensive module that will help you defend the ship against interplanetary intruders. The gate will detect a hostile threat, locking it and allowing you some valuable time to regroup. If you don’t feel like taking a day trip out into the galaxy, you can bring aboard resources from the comfort of the Genesis using the Tractor Beam. This is a great way to gather refined space debris like iron and copper but be on your guard for some surprise guests. Certain weapons and modules can be upgraded. Always be on the look out for crash sites, graves are alien artefacts when visiting planets in order to better defend your ship and deal with any threat you may come across. As well as the unwanted side effects of infestations, you might have some other visitors who will board without a pass. These uninvited guests will stop at nothing to annihilate you and the crew, so make sure you’re prepared for any eventuality. The Workshop is not only used for crafting ammo but also for researching and upgrading weapons if you’ve found the related schematics. The X-Ray Caster is a weapon that is not only quite powerful, it also looks great in action! The Yarri is one of the many plants you can find during planetary landings. If you’re intending on creating new clones, you will need the relevant plants in order to create a habitable biosphere for them aboard the Genesis – otherwise they will slowly die in front of your eyes.